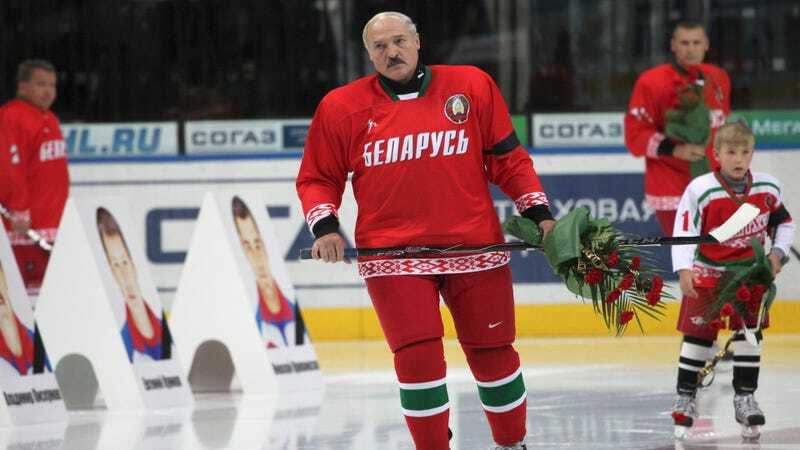 Alexander Lukashenko, the president of Belarus, wasn’t happy with the national hockey team’s performance in the recent world championships. He has no qualms about letting people know that. ...As a remedy for poor performance, Lukashenko said Belarusian hockey clubs [should] lower salaries and offer bigger bonuses for success. Lukashenko is an authoritarian leader who has been in power since 1994. He enjoys playing hockey with pals.